It must be that time of year. I caught the weaving bug. I’m planning out an Anglo-Saxon undertunic for my husband, and I decided it’s time to do this right. I’m going to tablet weave some simple trim for the hems. 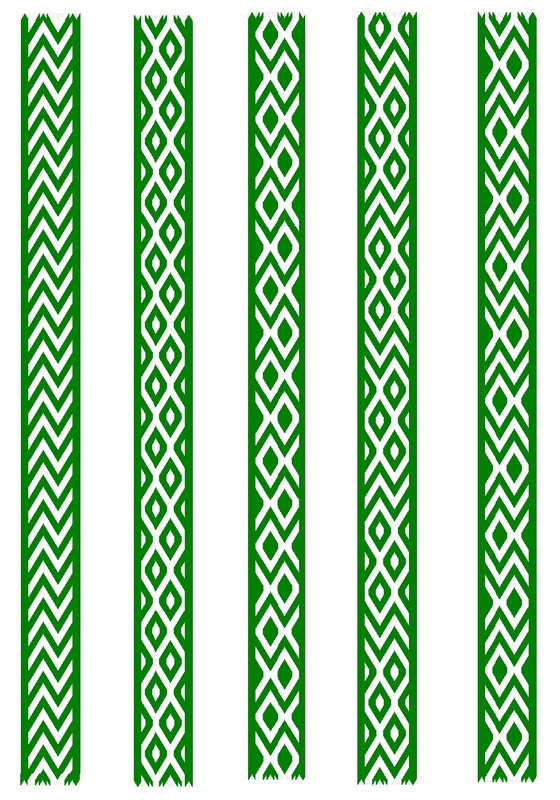 I haven’t done any serious tablet weaving since college, so I needed to refresh my skills and reacquaint myself with the glorious freeware program called Guntram’s Tabletweaving Thingy. I’ve given a plug for GTT before, but seriously, this Guntram guy is an angel. With GTT, I save so much time and yarn and frustration by trying out different threading patterns and colors and weaving sequences before I warp anything. 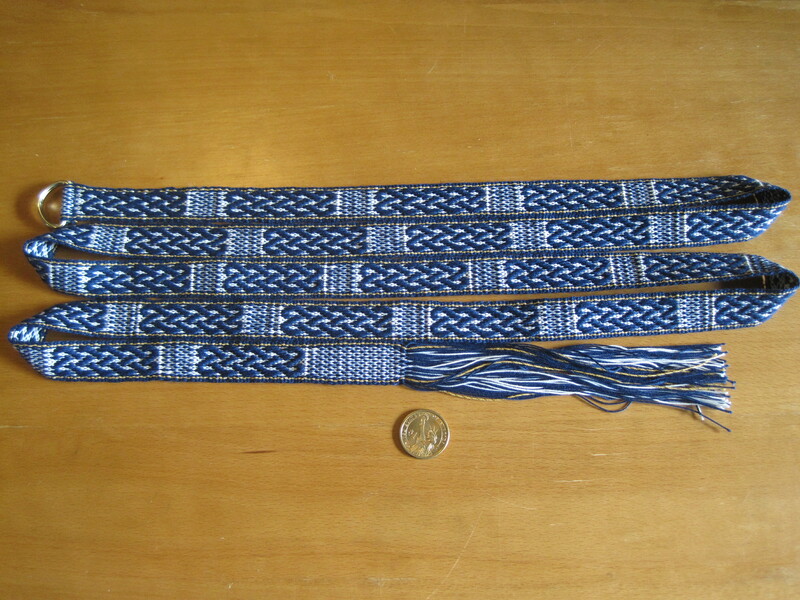 For example, the bands below are a few of the possible designs I could weave with the exact same threaded tablets. Now I’m ready to warp up. 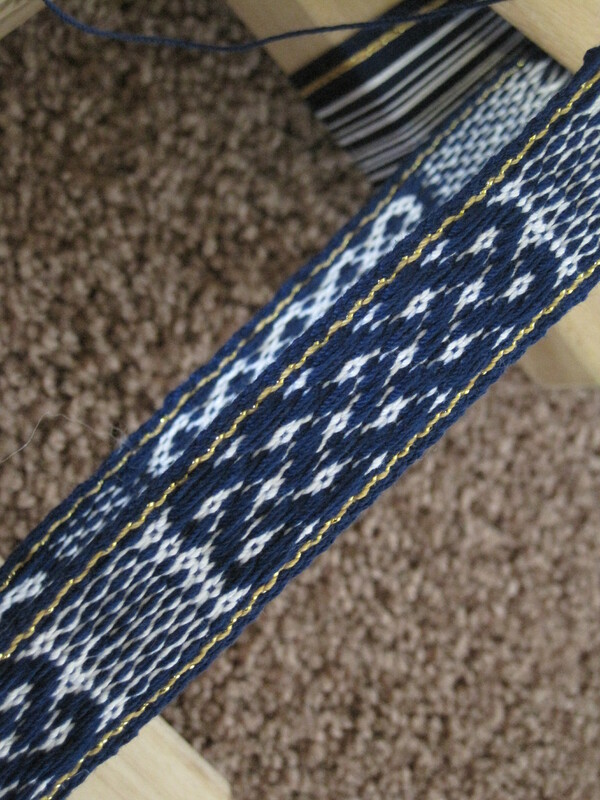 Since my sister was in town, I put in the last few hours to finish up my sixth inkle project, the Celtic belt she commissioned in navy, white, and gold. Here it is with the D-rings already attached, ready to be cut to the final length and finished. 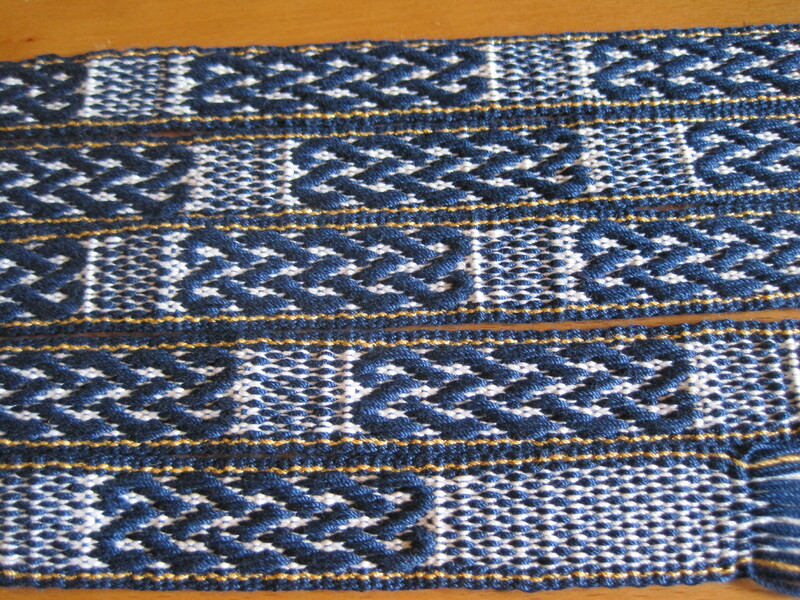 I derived this endless knots design from the Celtic pickup pattern on norsegirl.com. I’ve certainly improved at keeping the width and tension constant throughout, compared to my first project eight months ago, which had this same design in different colors. 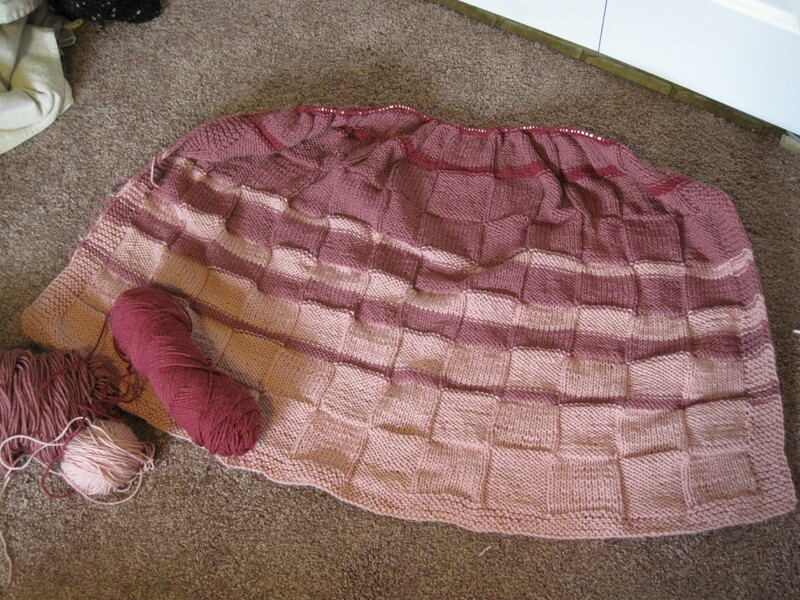 I think whatever I weave next will use medium weight yarn for the warp and weft. Think how quickly that will weave up compared to #10 crochet cotton! 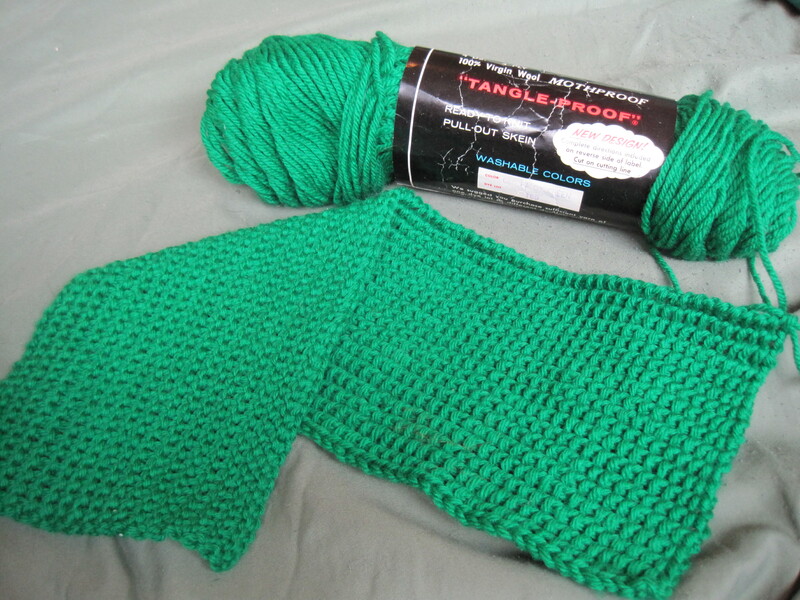 I’m itching to start knitting a new baby blanket. This may or may not have something to do with Camp NaNoWriMo taking precedence above all other creative endeavors this month. When the crafting itch got bad a few days ago, I snuck out of Scrivener and opened a web browser. 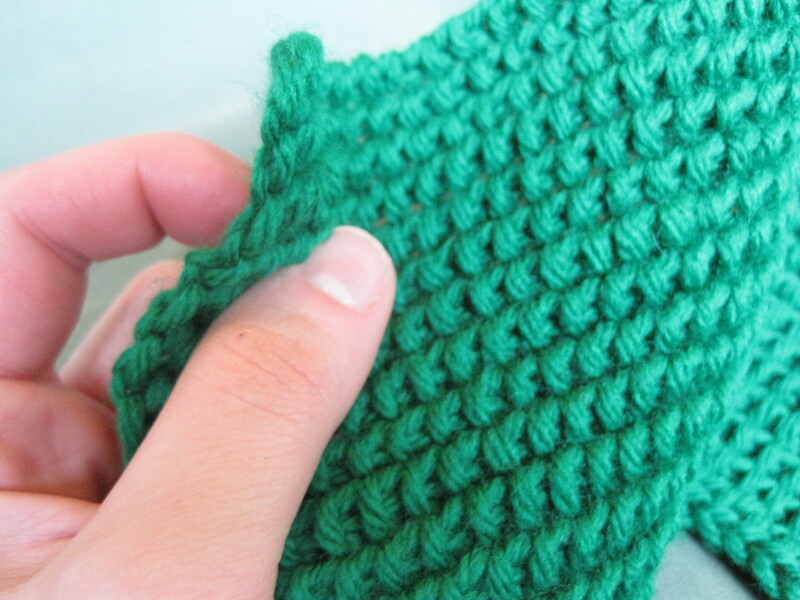 I looked around until I spied a neat pattern with alternating knit and purl sections resulting in an almost twill texture, and I thought, I can handle knitting and purling. 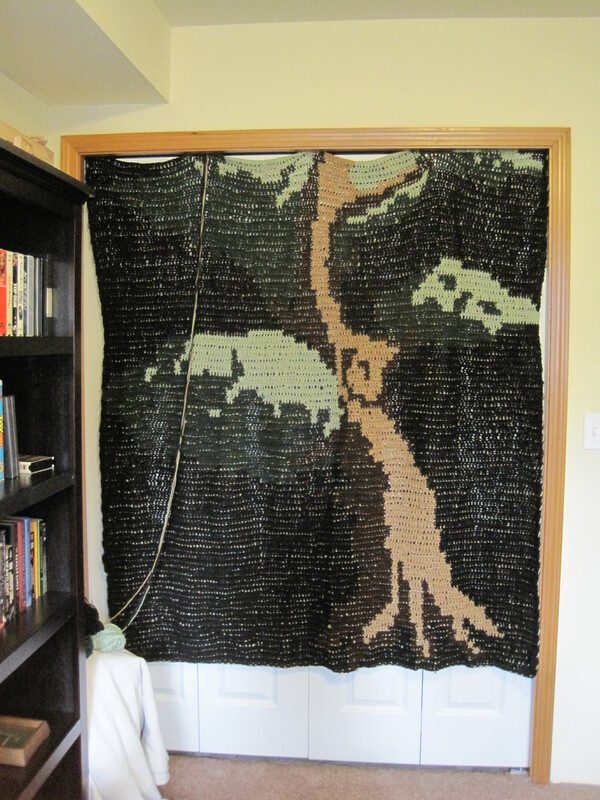 But I want it to look even more like a twill weave than that. Ta da! Twill weave texture. Here’s how I did it. 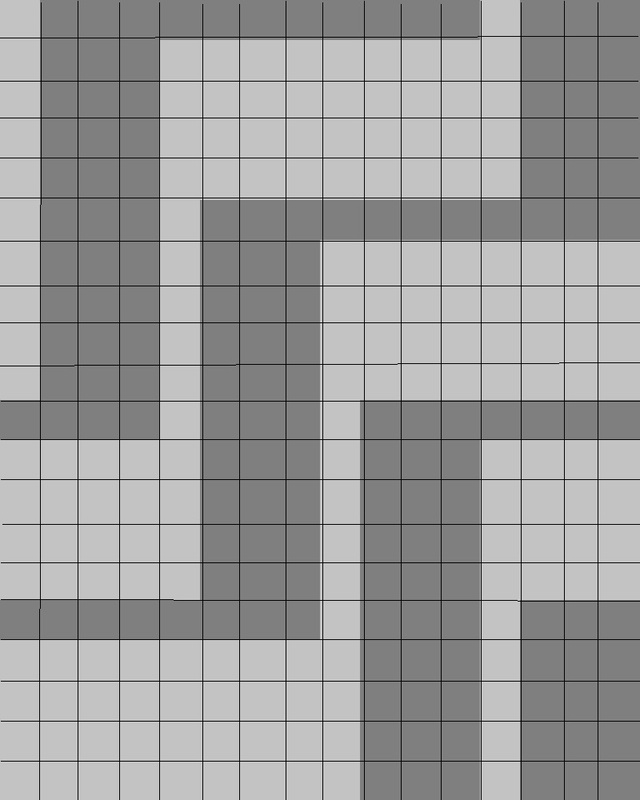 Well, actually, here’s a diagram of a slightly more developed version of the above. Now imagine this repeated across a baby blanket in super soft, light green yarn! I’ve decided I can’t even pick out the yarn until after April, lest I irrevocably sabotage my word count. ‘Till then, I’m sticking to a strict diet of griffins and magic. Works in progress from my yarning hobbies. 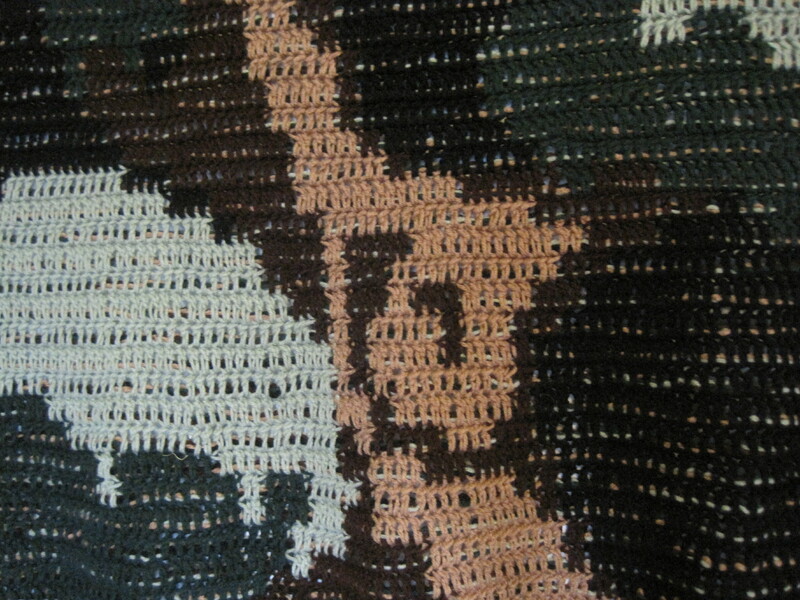 Knit, acrylic, about 60% done. 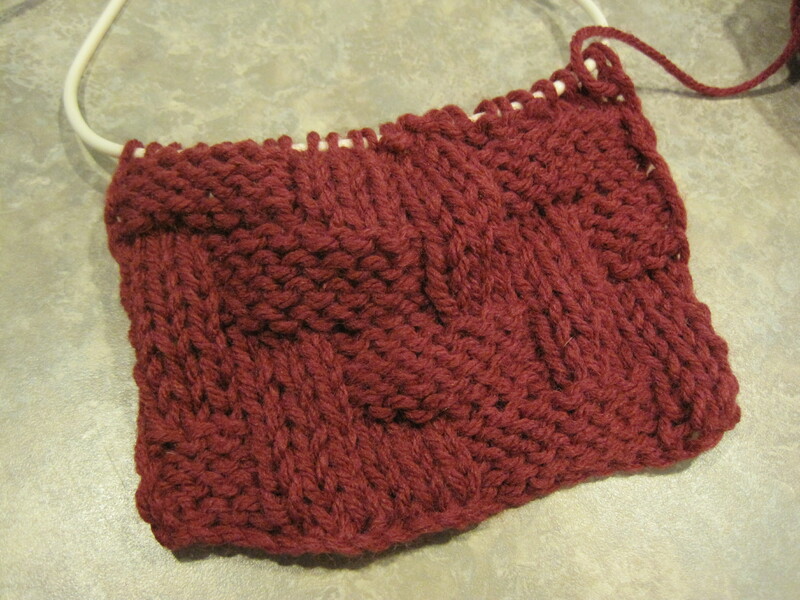 Everyone in the Young Women’s program at church knows I knit because I keep toting this along to activities. 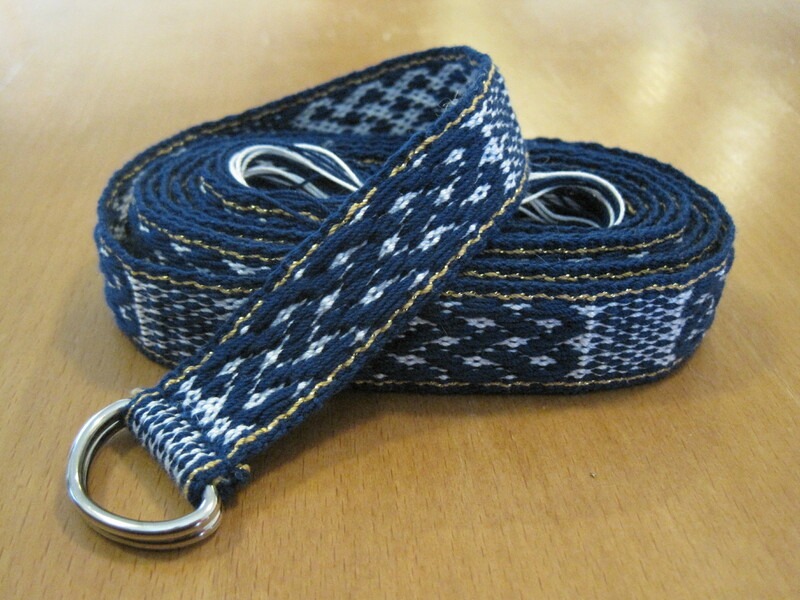 It’s a belt commissioned by my sister. #10 crochet cotton, inkle-woven, with a celtic pickup pattern I derived from the one on norsegirl.com. 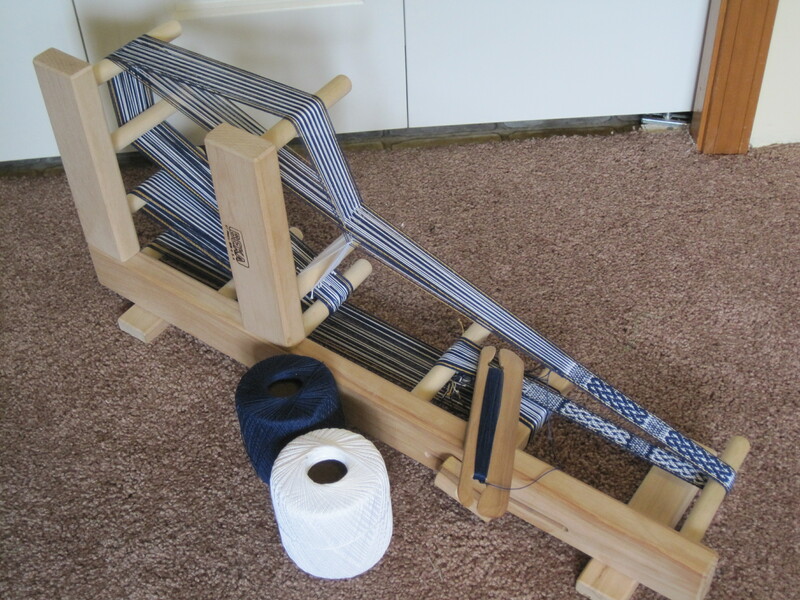 Incidentally, you too can learn to inkle weave from her website. Tunisian crochet, wool, just begun. I fell in love with the texture of this variation of Tunisian crochet. It makes a very fluid fabric. Plus, my mother-in-law gifted me a bunch of great green wool. I’ve worked on this sucker on and off since high school. Still only about 70% done. I’m not all that eager to finish, because it just doesn’t look as nice as I hoped. There isn’t enough contrast between the dark colors and the black background, and all those strings I carry along peek out everywhere. 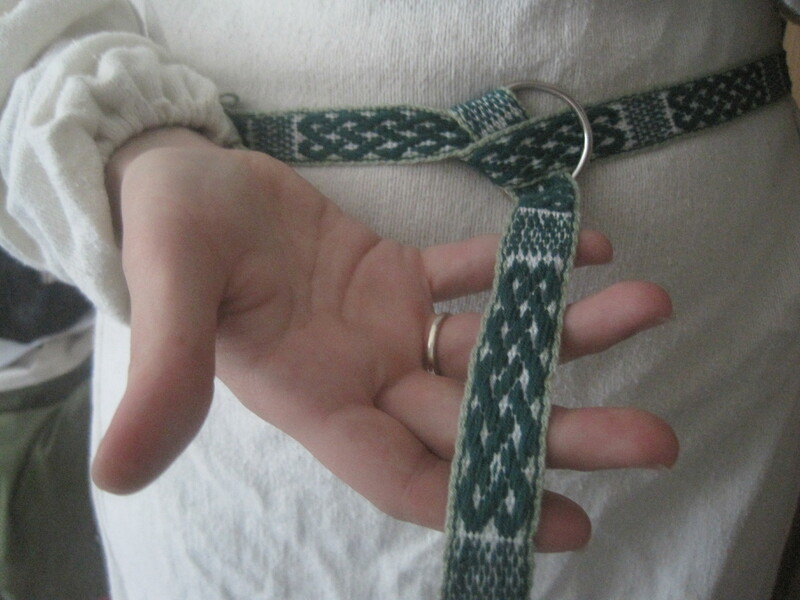 Still, it forced me to learn to crochet left-handed (to maintain a front and back), so it’s not a total waste? When the mood strikes me, I also spin. The project I’m proudest of was a knitted alpaca hat for my dad, with wool from his own alpaca. Can you spot the hat? Knitting it was only a small part of this project. 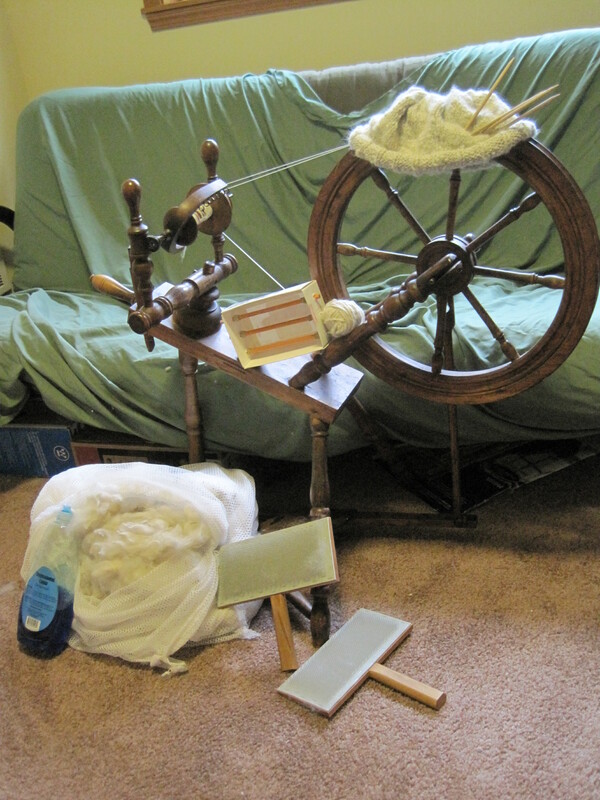 What yarn crafts do you like to do?